Pope Francis departed Wednesday for Panama where he will participate in the events of the 34th World Youth Day. This marks the Pope’s first journey in 2019. The Pope departed on an Alitalia flight from Rome’s Fiumicino Airport at 9.51am (local) and will land in Panama at around 10:30 p.m. Italian time. 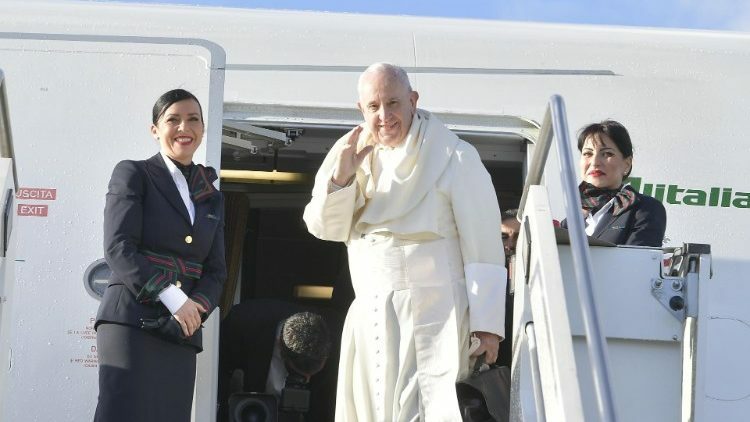 Upon arrival at Panama’s Tocumen International Airport, the Pope will go directly to the Apostolic Nunciature, where he will stay for the duration of the visit. His journey will get underway in earnest on Thursday with an official welcome at the Presidential Palace and a meeting with authorities and diplomats. Later in the day, Pope Francis will meet with Bishops from Central America. The highlight of Thursday, however, will be the opening of the World Youth Day ceremony at the Coastal Belt at 17.30 local time.